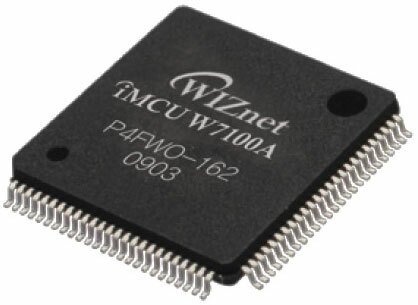 WIZnet's unique hardwired TCP/IP solutions bring complete Internet connectivity to electronic devices in the most cost-effective way. 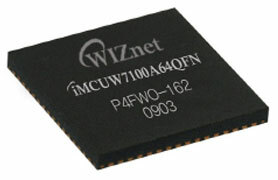 WIZnet utilizes proprietary algorithms to enable high-speed communication in iInChip with minimal capacity MCU and memory. 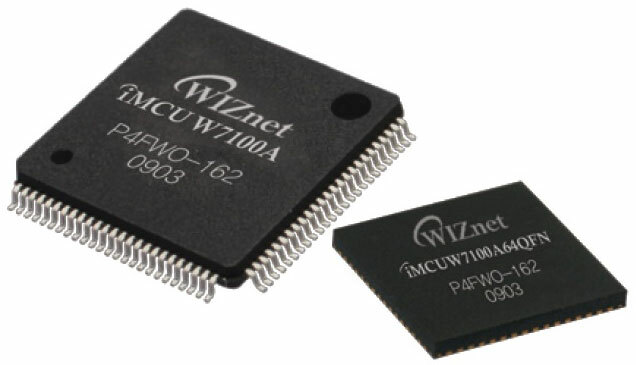 And since separate OS is not required, drastic cost reductiWIZnet core technology, ‘TCP/IP Offload Platform’ is ASSP and silicon-proven IP for custom ASIC, which best fits OS-less device and is compatible with any Embedded OS. Also, its fully hardwired TCP/IP algorithm guarantees line speed by on-the-fly processing architecture that is independent of main processor. 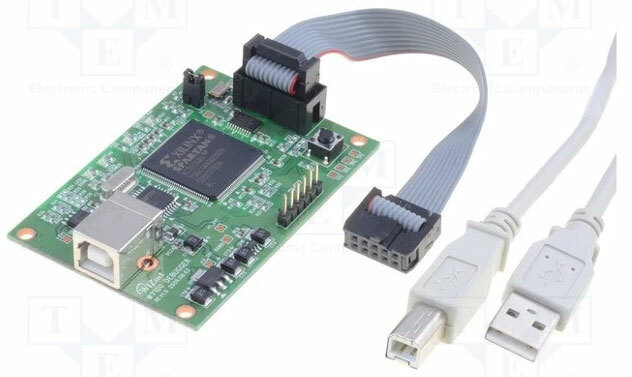 Moreover, it eliminated main processor’s overhead by offloading TCP/IP processing and hence enhances overall system performance especially in multimedia streaming applications. 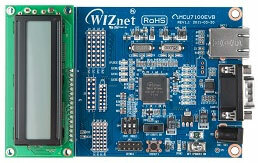 Its fully hardwired TCP/IP algorithm guarantees line speed by on-the-fly processing architecture independent of host CPU. By offloading internet tasks from a host CPU, it makes system more simple and stable, and enhances overall system performance especially in multimedia streaming applications.